_______________________________________ Who we are The Veglio di Castelletto family is a family whose roots are rooted in Italian history. They depart from the Umbrian nobility, pass through the Napoleonic wars ("Arma Veglio di Castelletto" campaign of France 1821) and spread out to Piedmont of Savoia. Cascina Bruni is a kind of "temple" where they still preserve the traces of a past that serves to realize the dreams of tomorrow to Giuseppe Luigi, Vigneron, class 1944, succeeds the guide of the modern era Cristiano Maria Veglio of Castelletto Winemaker, assisted by his brother Fulvio and a team of trusted collaborators and consultants. From our passion for wine and from the wonderful vineyards of Cascina Bruni great wines are born, obtained from a loving care of the vineyards and its fruits. 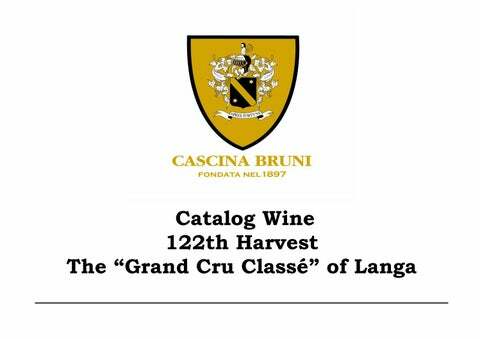 The limited production, the manual harvesting in fruit crates, the fragmentation of the individual vines, the vinification with whole berries and maceration in wooden or cement barrels for a long period, the decanting by gravity and the choice not to filter, make our cellar a real "Grand Cru ClassĂŠ" of Langa. The Consulting From the Vineyard to the Cellar, through the vinification, aging and bottle, the wines of Cascina Bruni are followed scrupulously with traditional but always avant-garde systems, with different production and winemaking protocols for each vineyard, variety of grapes and wine, Which continue with periodic tastings and post-production analysis aimed at obtaining the highest quality. For several years Michel Rolland and his team have worked with heirs of Family Veglio di Castelletto. 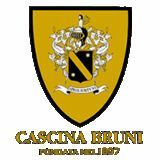 Currently Cascina Bruni , uses the experience of Eric Boissenot – Laboratoire Onelogieque Boissenot, Lamarque – Médoc (France), considered the “king of the Médoc” and famous for being a winemaker of the Grand Cru Classé 1855 as: Chateux: Lafite- Rotshild – Mouton- Rotshild – La Tour- Margaux – Leoville Las Casés – Palmer – d’Issan and other. One of the most well-known consultants in the world. ________________________________________ Sotâ&#x20AC;&#x201C;Monopole Grand Vin The Sot-Monopole Grand Cru vineyard is located in the Carpegna hillside, in an optimal position from Barolo but deliberately planted with Cabernet Sauvignon with screws from Pauillac en Medoc Bordeaux, this vineyard was planted in only 1,300 vines in the far 1994 and sees his first harvest in 2015, after 21 years of waiting. Vinified in French oak barrels with manual fulling for over 40 days of maceration, after fermentation rest for 18 months in new French wood barriques, then rest in the bottle for at least a year. Of the year 2015, 1,200 bottles were produced, all numbered by 0.75cl. Of the years 2016 900 bottles produced, all numbered by 0,75cl. The Artist Theo Gallino, for this wine has produced 400 Chalcographic labels, numbering them and signing them one by one. The packaging always made by Gallino is itself a work of art, and contains three bottles, one with the chalcographic label of the author. Price Sot-Monopole with label of Author numbered and signed in original. A decadent nose that shows treacle, chocolate, plum liqueur, walnuts, spice box, cedar, herbs, tobacco and even charcuterie. The palate is also very dense and grainy yet there's no shortage of acidity to carry everything through to the long, intense finish. This is quite extracted but very attractive. From cabernet sauvignon in the Langhe. Drink in 2020. The nose is fine, fruity, aromatic, fine, nicely elegant and offers perfect maturity and good structure. There are notes of morello cherry and a fine note of blackcurrant, blue fruits combined with a raspberry tip as well as fine / discrete tips of gray pepper and aromatic herbs. The palate is racy, balanced, elegant and offers a nice fruity as well as a nice minerality and a delicacy. On the palate, this wine expresses notes of dried blackberry, blackcurrant and fine notes of small wild berries associated with tips of toasted wood, dark chocolate and a tip of black tea. The tannins are thin and slightly firm. Good length and beautiful persistence. Presence of a fine tip of bitter black chocolate at the end of the mouth. “Il Nido dei Pollini” The Artworks on the open sky In honor of the Vineyards Cascina Bruni Between the Vineyard Sot-Monopole Grand Cru and the Vineyard Batistot in the Carpegna hill, many years ago the grandfather Pasquale (Pasqual d’Brun) had planted a Cherry Tree, for many years it was a stopover for a break from the hard work of the vineyard, and as Shelter for sun or rain during the summer thunderstorms. Just a thunderstorm was the cause of the beginning of this story, years ago a Lightning fell down on the Cherry Tree causing is death. The idea of the work takes place during the spring of 2016 when Cristiano Maria and Theo Gallino during a walk in the Sot-Monopole vineyard, where the artist from the flowers of Tarassaco (Dandelion) in the rows takes the inspiration for the label, same time note that death cherry plant. Cristiano Maria Veglio of Castelletto and Theo Gallino realize that the Cherry Tree could return to new life, so the project of the "Nido dei Pollini" was born 6 wrought iron Tarassaco flowers lying between the plant and the nest (which is an old well in Cement), surrounded by pollen also made of wrought iron and a loving bench to stay pleasantly immersed in the vineyard. Another Dandelion Flower. The quest for the Opera, materials and location make the "Nido dei Pollini" a unique work of its kind, easily accessible from the well-marked path. By the will of Cristiano Maria, the Opera is dedicated to the paternal grandparents Pasqual d’ Brun and Maria, to their dedication to a life from Winegrowers. ________________________________________ La Fleur de Sot The Spirit of Pauillac The La Fleur de Sot â&#x20AC;&#x153;the spirit of Pauillac in the Langaâ&#x20AC;? (second wine) it is a wine produced from the vines of the youngest part of Sot-Monopole Grand Cru vineyard, located below it's lower part, since the young age of 15 years do not lend themselves to producing the Grand Vin. High quality grapes that are vinified with the same care of the Big Brother, with maceration on skins of over 40 days always in French Wood Barriques then then rest for 18 months in Barriques for 70% new and 30% used for the Grand Vin of the previous vintage, assembled after the harvest, makes malolactic in barriques. Bottled unfiltered by gravity after about one and a half years from putting in barriques, rests for at least one year in the bottle. Produced only in the best vintage (starting from the 2016 vintage) and in limited quantities. Blend 2016: 92% Cabernet-Sauvignon 8% Petit Verdot. 1.200 bottles produced. In the historical vineyards of the Carpegna hill of Cascina Bruni in Serralunga d'Alba, 300 meters above sea level, among dozens of honey flowers, some olive and lush vegetation, we can admire in all its beauty, the most vineyards Old Cascina Bruni estate (re-planted in 1939 and already present in local maps of 1780 with manual picking and wooden palette), where since 1943 RIVASSOTTO® is produced, the most important Barolo of Cascina Bruni with limited extension and production (from 600 Up to 1,200 bottles a year). Rivassotto 2007 Barolo Riserva The 2007 was characterized by a very hot vintage, which is also felt in wine. That year, with very good conditions and beautiful grapes, we produced about 800 kilograms of grapes, and we vinified this old fashioned wine, with a barrel of 100-year-old cherry wood barrels in Piedmont , Open on the underside side, with manual (manual break caps) manual, without replacement and with native yeasts and nutrients to finish the fermentation. After the plowing was aged in a 500 liter chestnut barrel from January 2008, until January 2016. Bottled without filtration aid, the label is the same as the foundation of the cellar. There are 600 bt produced. From 0.75cl, only on assignment from September 2017. Sold out. Aromas of walnut and berry with hints of bark. Full to medium body, firm and silky tannins and a savory finish. Drink or hold. Rivassotto 2010 Barolo Riserva Large hot and balanced vintage, Rivassotto 2010 comes from the vineyard in the Carpegna hill, it is a small wine-making of about 800 kg of grapes this vintage is particularly favorable for this vineyard, vinified in Cherry wood, with maceration on Skins for over thirty days, with manual making. Seeing the small amount is put to rest straight into a 500 liter Chestnut barrel for over five years. Bottled in February 2016 without filtration aid. Only on assignment starting from September 2017, produced 665 bottles of 0.75cl. Avaiable only of LD Vins. A juicy red with plum and dried fruit character. Hints of rose petal. Medium to full body, lightly chewy tannins and a flavorful finish. Cedar and almond undertones. Drink now. Batistot 2009 Barolo Riserva Produced by the homonymous vineyard planted in 1944 in the Carpegna hill, vinified with selected yeasts under submerged hat, then poured into the cement, rested for five years in barrel n. 46 Allier Wood. Being a very old vineyard, this wine needs more time to mature. In February 2016, after clarification, decantation and non-filtration, went into the bottle and produced about 1,966 bt of 0.75cl. A 2009 Barolo that is wonderful to drink now with plum, strawberry and light flower aromas and flavors. Medium to full body, round tannins and a juicy finish. Drink or hold. Batistot 2011 Barolo Riserva The Batistot 2011 Riserva was born from the homonymous vineyard in the Carpegna hill, vinified with hand-worn hat, emerged in concrete, resting for five years in barrel n. 39 Allier Wood. In May 2017, after clarification, decantation and non-filtration, went into the bottle, this year about 1.373 bt of 0.75cl were produced. Batistot 2013 Barolo Riserva The Batistot 2013 Riserva, it comes from the homonymous vineyard planted in 1944 vineyard on rootstock rupestris and grafted on the spot to Michet (of the old type). Vinification in cement for 50 days in submerged cap, then separation of the presses and aging in medium capacity French wood over 10 hl for 48 months, bottling without filtration and then further refinement of 36 months in bottle (total 7 years) on sale from 2020 . produced around 1,000 bt. Carpegna 2015 Barolo The Barolo 2015 Carpegna Grand Cru is produced since 2015, it comes from vineyards of 50% Marialunga and 50% Rivass (vineyard over 60 years). Vinification in steel with internal wooden slats on the walls, traditional hat-shaped, for 40 days, then separation of the presses, malolactic to allier wood and aging always in wood for 24 months of medium capacity then selection of the lot and assembly. Bottling without filtration in April 2019. Bottle aging 12 months on sale from June 2020. Produced only 600 bt of selection. Costabella 2015 Barolo The Barolo 2015 Costabella Grand Cru is produced since 2015, comes from 50% Costabella â&#x20AC;&#x201C; Pilone Cresta (20 year old vineyard) and 50% Costabella- Matrin (vineyard over 30 years old). Vinification in steel with internal wooden slats on the walls, traditional hat-shaped, for 40 days, then separation of the presses, malolactic to allier wood and aging always in wood for 24 months of medium capacity then selection of the lot and assembly. Bottling without filtration in April 2019. Bottle aging 12 months on sale from June 2020. Produced only 600 bt of selection. Marialunga 2015 Barolo del Comune di Serralunga dâ&#x20AC;&#x2122;Alba The Barolo 2015 Marialunga del Comune di Serralunga dâ&#x20AC;&#x2122;Alba, 45-year-old vines produced by the homonymous vineyard. Vinification in steel with internal wooden slats on the walls, traditional hatshaped, for 40 days, then separation of the presses, malolactic to allier wood and aging always in wood for 24 months of medium capacity then selection of the lot and assembly. Bottling without filtration in April 2019. Bottle aging 12 months on sale from June 2020. Produced only 600 bt of selection. Babellino 2015 Barolo del Comune di Grinzane Cavour The Barolo 2015 Babellino del Comune di Grinzane Cavour, it comes from the Babellino farmhouse in Grinzane Cavour, 60-year-old vines. produced for the first time in 2015. Vinification in steel with internal wooden slats on the walls, traditional hat-shaped, for 40 days, then separation of the presses, malolactic to allier wood and aging always in wood for 24 months of medium capacity then selection of the lot and assembly. Bottling without filtration in April 2019. Bottle aging 12 months on sale from June 2020. Produced only 600 bt of selection. The Selection Otin Maté 2015 Barbera d’Alba Superiore It comes from the vineyard Otin Matè, inside the Carpegna hill. The portion of vineyard producing this wine selection was planted in 1944. It is a picking selection of our Barbera grapes, produced only in particularly favorable vintages and vinified with the traditional method in barriques without Fulling . After fermentation he rested for 18 months of aging in French wooden barriques for 2/4 new, ¼ of a wine, ¼ of two wines, bottles by gravity without filtration, it remains in bottle aging for another 18 months. There are 3.333 bt produced. Non filtered. 3,333 bottles. Spicy, red aromatics. Warm and cinnamon-suffused, masses of velvety tannins embedded into the fruit. Roundness and plumpness yet full of purposeful structure thanks to those confident tannins. And with a much drier finish, but there is a lot of substance here. (TC) Drink 2018-2022. AprĂŠs Fortune 2016 Barbera dâ&#x20AC;&#x2122;Alba It comes from the youg vineyard to Otin MatĂ¨ (two parcel), inside the Carpegna hill. The vineyard producing this wine selection was planted in 1995. It is a picking selection of our Barbera grapes, produced only in favorable vintages and vinified with the traditional capped method in concrete barrels. After fermentation he rested for 18 months of aging in French wooden big barrels (Limousin), bottles by gravity without filtration, it remains in bottle aging for another 9-12 months. There are 5.124 bt produced. Vigna Giunà “Vecchie Viti” Langhe Nebbiolo 2016 It comes from the old vineyard Giunà (since 1970), inside the Garil hill. The vineyard producing the 100% Nebbiolo of Barolo. It is a picking selection of our Barolo grapes where we give up the mention, produced only in fanstastic vintages and vinified with the traditional long time capped method in concrete barrels (53 days maceration). After fermentation he rested for 12 months of aging in French wooden barriques only 1 wines, bottles by gravity without filtration, it remains in bottle aging for another 9-12 months. There are 1.120 bt produced. ____________________________________________________________ Giunà 2016 Dolcetto d’Alba Superiore This wine is the fruit of a careful vineyard care with extreme thinning to bring the vine to an annual yield of 45 q.li (3/4 grapes for plant), the Giunà, planted in 1977, harvested for our choice of eighteen days Compared to normal (29.09.2016); To arrive at a maturation of the grapes which allowed us to vinfied Dolcetto d'Alba with the Superiore mention and with a reduced use of Sulphites. Vinified in small cement barrel with manual flocks for 32 days, during the grinding the wine pressing were then separated from the flower wine. Giunà 2016 continued its aging and malolactic fermentation in Troncais French Tonneaux used of two wines, to keep intact the fruit and quality of the wine. Assembled in spring and then restored to Tonneaux, in August 2017 it will be ready for aging in bottles for at least 8 months, this year will be produced 1,466 bottles of 0,75cl. For sale from April 2018. Non filtered. 1,466 bottles. Almost jammy, there is so much intense, ripe fruit on the nose. Just a little snuff of chai tea. And that tea-leaf note is on the palate as well, infused with bright, popping-with-acidity, strawberry fruit. Crackles in the mouth! Full of life. Tannins meshed comfortably into the fruit. Delicious. (TC) Drink 2018-2022. Strawberry compote, dried raspberries and dried spices. Medium body, round tannins and a fruity finish. Drink now. The Classic line Marialunga 2014 Barolo del Comune di Serralunga d’Alba This is the historic and classic Barolo of Cascina Bruni, coming from vineyards (three Parcel) forty to fifty years old in the Carpegna hill. The 2014 Vintage, is the first Barolo Marialunga with the territorial mention of the “Comune di Serralunga d’Alba”. Harvested on October 15, 2014 comes from three dinstict particles, vinified separately in cement barrels traditionally for about three weeks, the racking has been separated and then aged in medium-capacity Allier and Troncais French Barrels. Bottled by gravity without filtration, in the summer of 2017 it rests for a least 12 months in the bottle, produced about 2.000 bt. A ripe and aromatic red with plum and chocolate aromas and some mahogany undertones. Full body, round and soft tannins and a savory finish. Drink now. Non filtered. Plummy, plush, mouth-watering fruit wrestling with emphatic tannins over who gets to drive. Bit of dried cherry and sweetly spiced moroccan leather and candied citrus rind under a veil of dustiness. A pencil-thin streak of bitterness and rusty nail. Drying on the finish, but itâ&#x20AC;&#x2122;s contained. Very neat finish. (TC) Drink 2019 -2027. Marialunga 2014 Barolo del Comune di Serralunga d’Alba Awards Les Cles de Chateaux – Saint Emilion - Bordeaux – Gironde – France - 9/11 April.2018 Primeurs, Chateau La Domique vignobles Fayat and Michel Rolland Conseils, Tasting wine by the best world Sommelier: Andreas Larsoon - Paolo Basso - Markus del Monego - Serge Dubs. Vin etrangér invitée: Italie, Marialunga 2014 Barolo Cascina Bruni. ____________________________________________________________ Marialunga 2013 Barolo This is the historic and classic Barolo of Cascina Bruni, coming from vineyards forty to fifty years old in the Carpegna hill. Grape harvest was carried out on October 8, 2013, the grapes were pressed and separated, fermented in cement tins for about two weeks and a half to hat emerged with manual replacements. When it was laid, it was put to rest again in cement and then continued its aging in the large barrels of French oak Limousine. Given the superior quality of this vintage, the bottling took place without the aid of clarification and filtration. Of the 2013 vintage, they produced 4,000 bottles of 0.75cl. Dedicated to our Paquale Grandfather, who planted these vineyards and carried them throughout their lives, remembering the 100th anniversary of his birth. I like the walnut, chocolate and dried strawberry character to this. Medium body, chewy and flavorful. Needs time to come together. Try in 2019. _______________________________________________________ Vert de Vin|Find wine & Spirit The nose is fruity, aromatic and offers a slight freshness. It reveals notes of ripe black fruits and licorice sweet associated with slight touches of aromaticherbs (rosemary, discreet hint of thymeâ&#x20AC;Ś). The palate is fruity, juicy, well-balanced and offers a mineral frame, a slight acidity, freshness, deepness aswell as a silght power. In the mouth this wine expresses notes of blackberry, cassis and slight touches of ripe raspberry, licorice stick associated with aslight woody hint and slight hints of aromatic herbs. There is a discreet salinhint. Tannins are fine, elegant and well-built. Very beautiful persistence. There is a slight caramelization on the persistence and a slight gourmandise on the finish. Vin etrangér invitée: Italie, Marialunga 2013 Barolo Cascina Bruni. Fanin 2013 Barbaresco It comes from the Fanin vineyard, in the municipality of Neive, in the Barbaresco area. It is a vineyard of 40 years of limited production, with a yield of about 55 quintals per hectare. It is produced only in exceptional vintages, traditionally vinified with manual replacements and follings. Add two and a half years in French medium and small oak barrels, then rest for another 12 months in the bottle. In 2013, 1,520 bottles of 0.75cl were produced. Audax Timorasso Colli Tortonesi 2018 The Timorasso Audax in Latin "Audace", comes from the Timorasso grapes grown in the municipality of Villaromagnano (AL) in the Fonti vineyard. The vineyard has been owned by the Guerci family for over 50 years (wife of Fulvio Veglio - brother of Cristiano), vinification by maceration of 48 hours (cement) and then fermentation for about a week, followed by aging for 4 months in cement and then bottling without filtration with gravity and aging in bottle for 6 months. On sale from September 2019. produced 1,200 bottles. Campodelpelo 2017 Langhe Arneis The grapes come from vineyards for about twenty years, in the land of Grinzane Cavour, despite the fact that the soil is mostly used for red wines. Harvested at the end of August 2017, vinified in a traditional way, with maceration for 36 hours on the skins before separation with soft pressing, then fermentation in cement, and refining in cement barrels for about six months, finally bottled for the first time in its history only by gravity without filtration. Of the 2017 vintage produced about 2,000 bottles. The tradition of father to son Rivass Barolo Chinato Produced with Barolo of the last vintage, Barolo Chinato is basically a Vermouth based on Barolo. The family recipe is a secret that lasts for more than a hundred years. The production method is an infusion of aromatic herbs and spices (including China) into Alcohol and Sugar, ripening for one month, followed by an addition of Barolo and aged for at least six months in 500 liter wood barrels, Then separation from spices, decanting and bottling. In 2017, 200 bottles of 0.75cl were produced. Between the garnet and the orange, the nose is jerked up Sweet citrus tones like orange juice. Vigneti e Cantine Loc. Bruni, 6 12050 Serralunga dâ&#x20AC;&#x2122;Alba (CN) â&#x20AC;&#x201C; Italia bruni@cascinabruni.it www.cascinabruni.it www.sot-monopole.com Facebook.com/Cascinabruni Issuu.com/cascinabruni Twitter @cascinabruni987 Istangram cascina_bruni The catalog depending on availability. *2019* Cascina Bruni fondata nel 1897 , all right reserved.